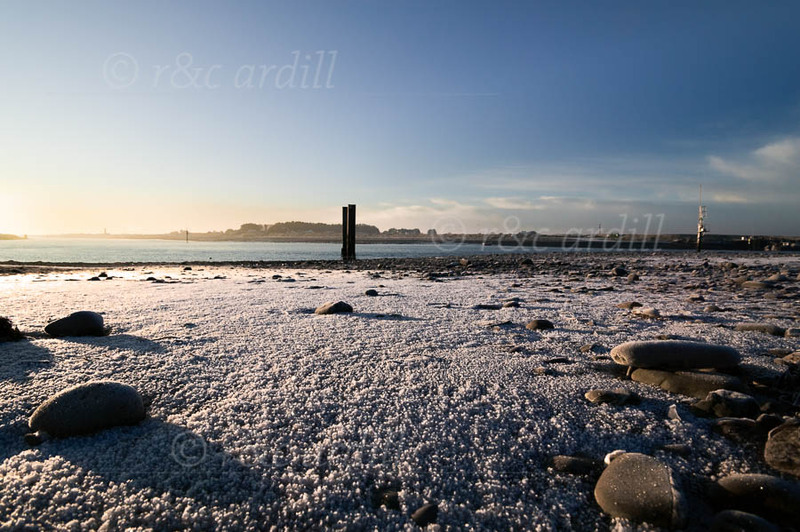 Photo of: East Coast of Ireland: Louth: Boyne Estuary. This is a view of the Boyne at Baltray, looking out towards towards the mouth of the estuary. The picture was taken on a winter's morning. Frozen sand is in the foreground.